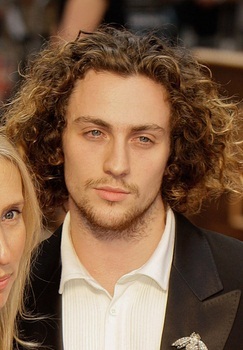 Place of Birth: High Wycombe, Buckinghamshire, England, U.K.
Aaron Taylor-Johnson, born Aaron Perry Johnson, and previously credited as Aaron Johnson, is an English actor. He is the son of Sarah and Robert Johnson. He is married to director and artist Sam Taylor-Johnson, with whom he has two children. The couple hyphenated their surnames together. Aaron has mentioned that he is Jewish. Aaron’s maternal grandfather is named James Collis. Aaron’s maternal grandmother is Sarah Frankfort (the daughter of Alec Frankfort and Louisa Cushion). Sarah was born in Lambeth, London, England. Alec was born in Russia. Louisa was the daughter of David Cushion, who had Irish ancestry, and of Ann Frances Robinson. So, he’s 1/8 Jewish; is it just his great-grandfather from Russia? Well even if I am right, Aaron’s father could still have some Ashkenazi Jewish roots. we don’t know who is paternal grandparents are yet. I think I found additional information on Aaron’s maternal grandfather. James Collis parents were James Collis (the son of John George Collis Ward and Martha Cambridge) and Ethel Holiday (the daughter of Walter James Holliday and Ellen Theresa Walker). If this is right James Collis is of English and remote Irish +Welsh ancestry. How do you know that’s the right James Collis? Sorry for the late response Follers. I am NOT 100% certain but my research looks somewhat confirmed since James Collis possible parents have ancestry trees by multiple people labeled Aaron Taylor-Johnson family tree on ancestry.com.